Pretty impressive, right? I would’ve never guessed that these drumsticks would be so healthy, especially with all the flavor they have. 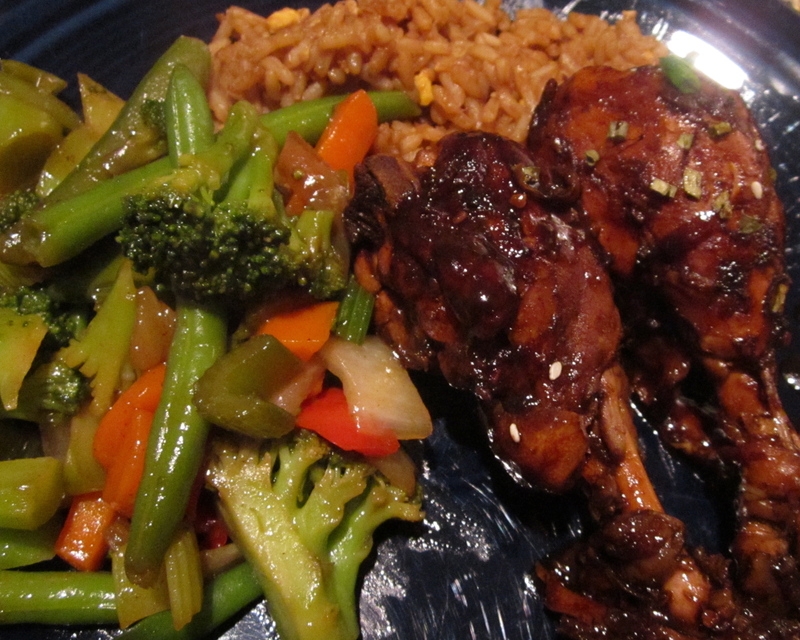 I served drumsticks next to rice and some steamed vegetables sautéed in soy sauce. 1. 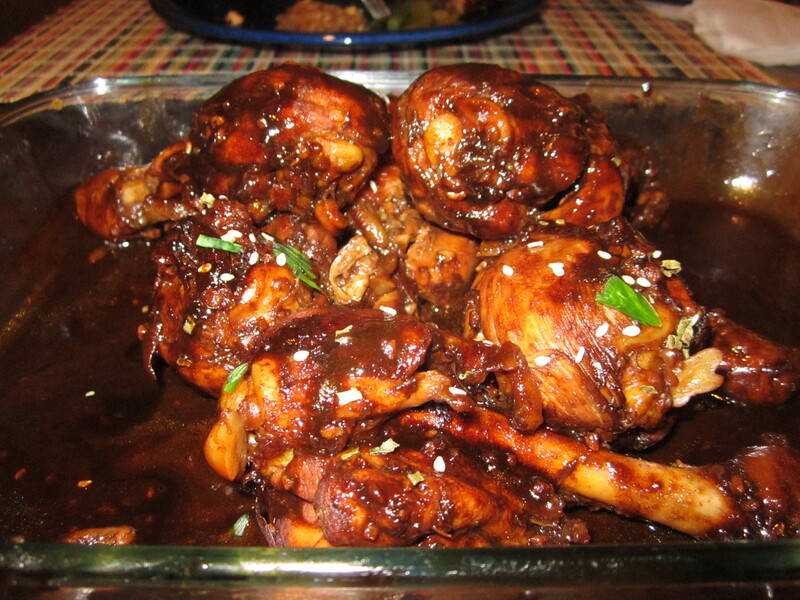 In a large saucepan, brown chicken on high for 3-4 minutes with a little spray oil. 2. Add water, balsamic, hot sauce, soy sauce, agave, garlic, and ginger, and cook on high until liquid comes to a boil. 3. Reduce heat to low and simmer, covered for about 20 minutes. 5. Transfer chicken to a platter and pour glaze on top. Top with chives and sesame seeds and serve.